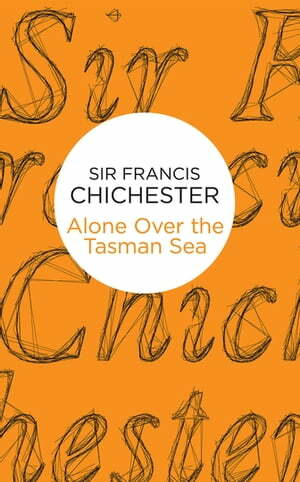 Collins Booksellers - Alone Over the Tasman Sea by Francis Chichester, 9781760550417. Buy this book online. I had no money, could get no floats, my navigation was uncertain, plane inadequate. A true story filled with danger, adventure and achievement, Alone Over The Tasman Sea is Sir Francis Chichester's telling of his 1931 seaplane solo-flight over the Tasman Sea from New Zealand to Australia - the first of its kind. Told with dry wit and humour, Chichester recounts his perilous journey across uncharted sea and between remote islands, and how he overcame the many obstacles along the way. During an era when flight was still in its dangerous infancy, Chichester's pure reliance on his friends Instinct and Reason make this a fascinating tale of risk-taking, perseverance and courage.